I guess you will be laughing at me now for posting this place-The Good Batch. I know it is so near to my office and I need to say it is my first time here. Yeah! 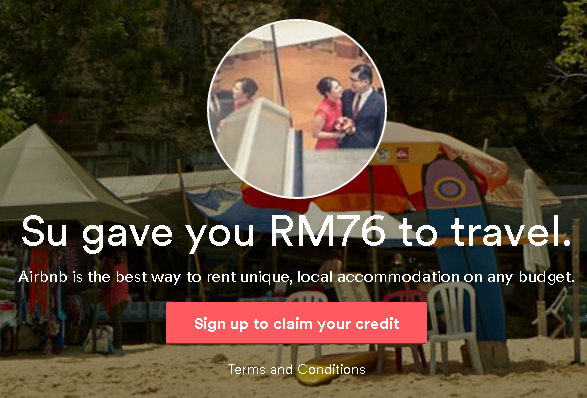 I get a lot of comments and some recommendation on this place, so I'm not too sure what kind of expectation I should put when I visit the place. Just shorten my story telling, let's check it out! 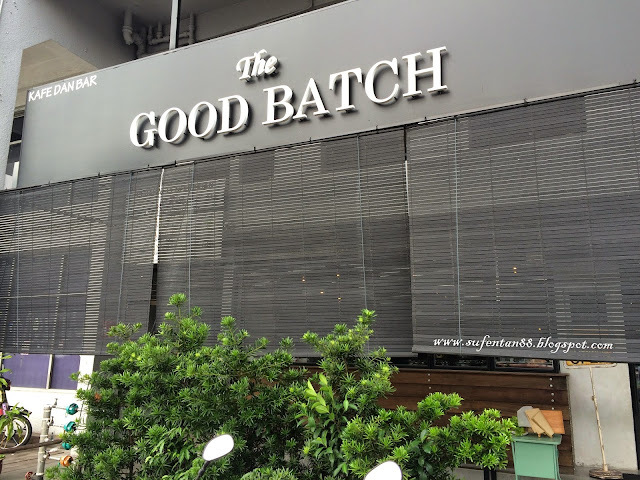 The Good Batch is located at the corner shop, there is a big and clear black signboard to get notice instantly. Now is the trend of industrial vibe where most of the cafes now are using wooden tables with metal chairs. concrete floor/counter top and hanging light bulbs, so does for Good Batch. 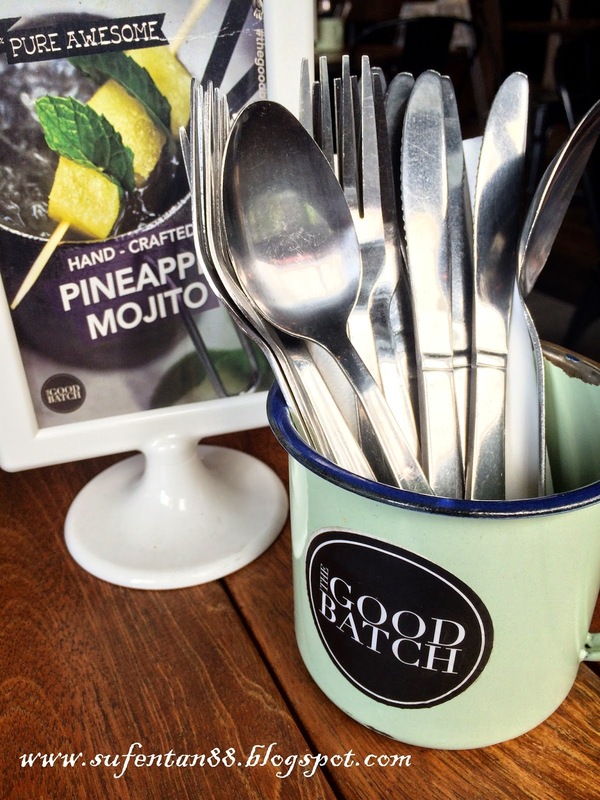 Forks and Spoons are place in a metal cup which reminds me of my grandma, she used to make milo in this kind of cup. 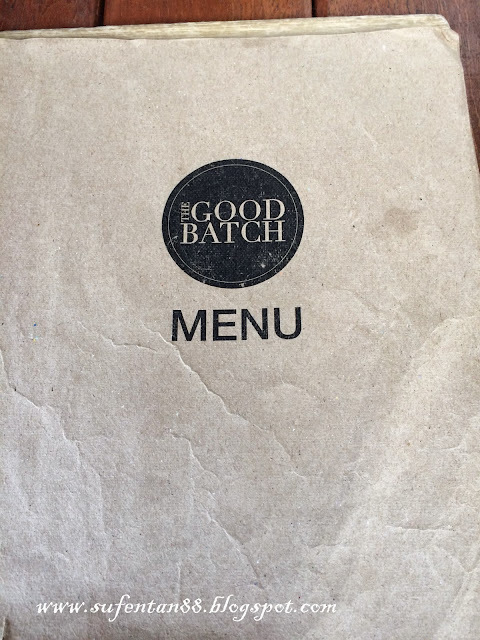 The menu, not in very good shape. You can view full menu here. Let see what I have ordered. 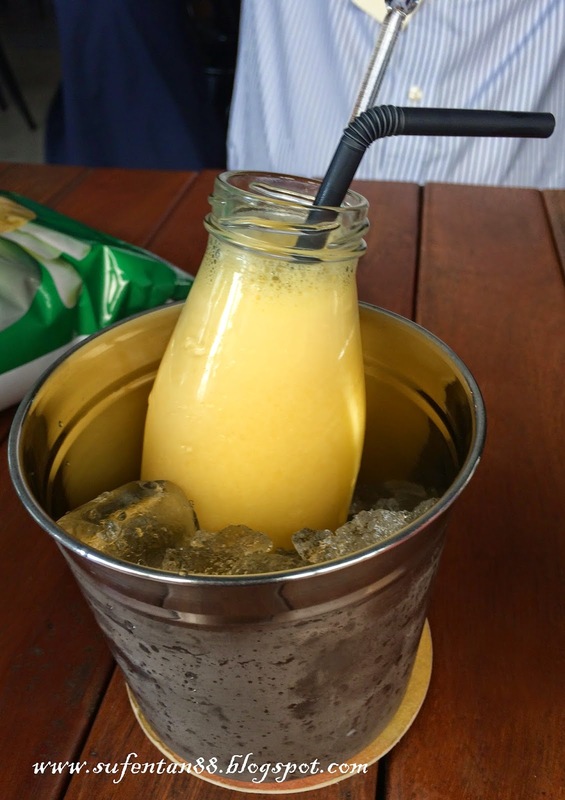 Cute little bottle filled with orange juice and place inside the ice bucket. 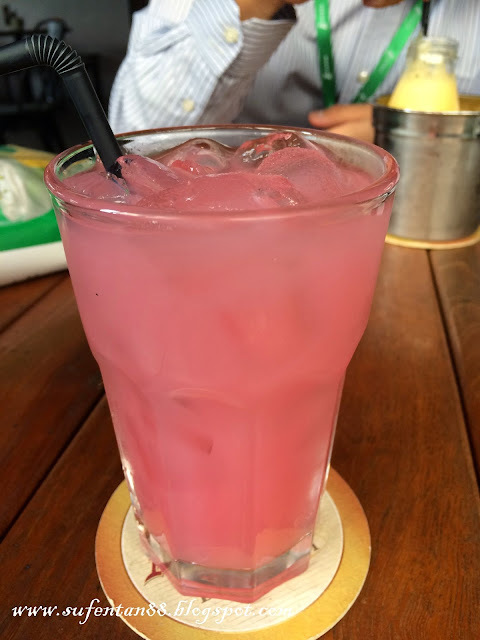 Yummy chilled pink guava juice that always in my list, taste wise similar to any pink guava I had, guess they all get from the same supplier. A bowl of fresh button mushroom sautéed with fine chopped garlic into a creamy dip, served with lightly toasted bread. 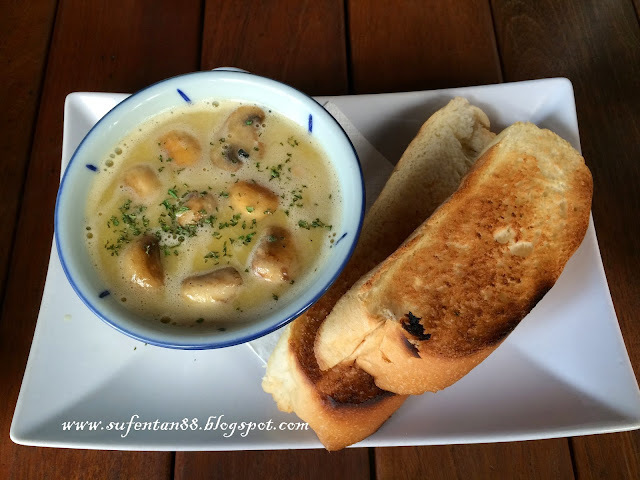 I love this dish with the crispy toasted bread and the delicious taste alike "creamy mushroom soup" dip served with lots of fresh mushroom that you can't get enough of it. Must try! Three deck of French toast stuffed with cuts of turkey ham, homemade Bechamel sauce mixed with Gruyere and Parmesan and topped with two sunny side-up. 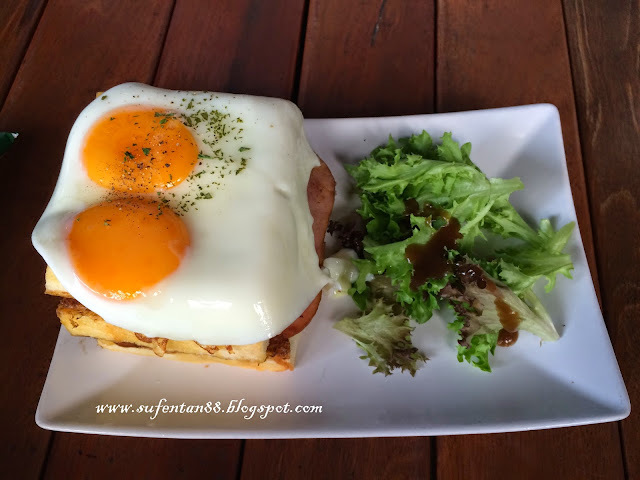 When we asked the waitress about the portion, we were told it is big because of the three deck of French toast, but it came out to be just normal portion. It doesn't look so big portion to us because it only consist mainly the three deck bread and two sunny side-up. Taste wise is ok, but nothing special. I personally love Japanese food, so when I saw the name "The Japanese", I just picked it without hesitation. 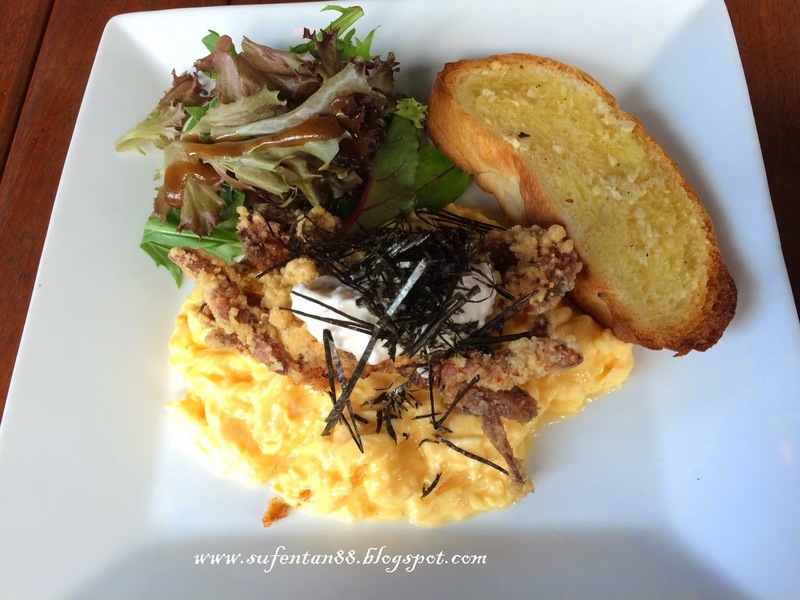 The Japanese come with silken scrambled eggs under a lightly battered soft shelf crab, garnished with shredded seaweed and crab stick mayo, served with a side of green and a lightly toasted garlic bread. The toasted garlic bread is the same bread I had for the garlic butter mushroom dip, crispy and taste better with the garlic on it. To place soft shelf crab in this dish is a creative move, but the size of the soft shelf crab is a bit too small. We saw another table is ordering the same dish but their portion is double of ours. Anyway, I still love the soft shelf crab and overall taste was nice. 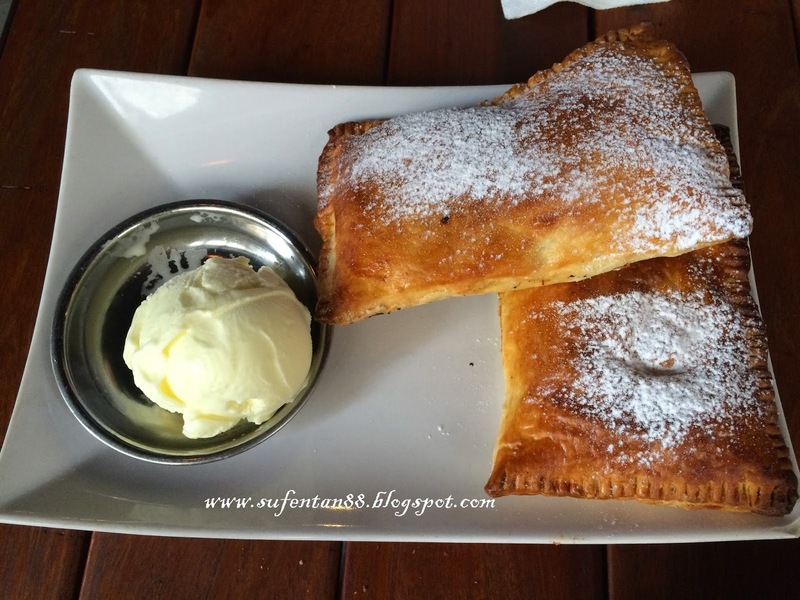 It is the banana nutella puffs served with a scoop of Vanilla Ice-cream. The portion of the puffs were giant, larger than my palm. Don't get scare of the portion, it is actually thin layers of puff after you cut it. However I didn't tasted any banana except a light taste of Nutella in the middle, not much of filling inside. I personally think it is a nice place to hangout with your friends. Overall food was not bad, they serve mainly on bread & egg, more suitable for breakfast or brunch. 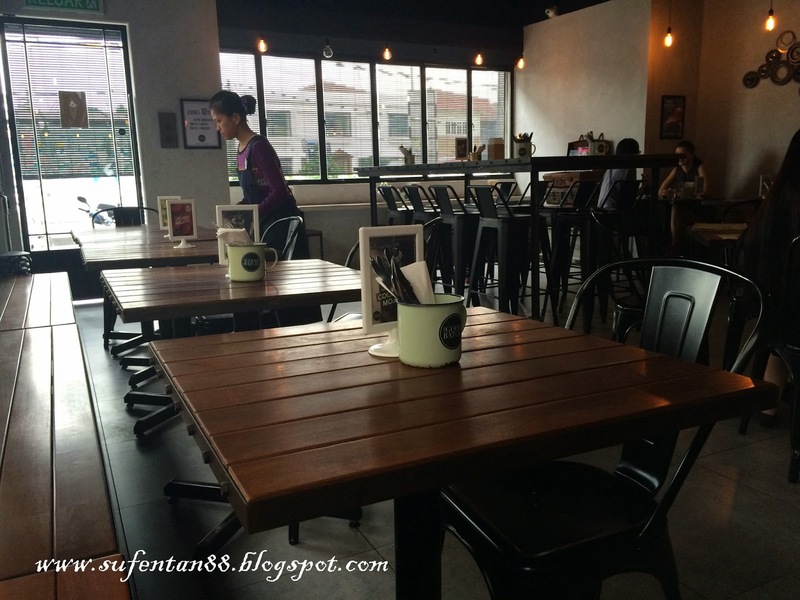 However, the price is a bit steep compare to other similar cafes in Uptown.